In India, the food sector has emerged as a high-growth and high-profit sector due to its immense potential for value addition. For those who are planning to establish their own business or investing a huge capital in a business then, food business will probably the best decision you can take over. Chaat Ka Chaska one of India’s leading brands in food business offers you food franchise in Panipat. You can open your own food café or restaurant serving the delicious Indian street food. Chaat Ka Chaska is envisaged as a chain of eateries that serve the hawker style Indian street food that is hygienically prepared and served. So, don’t miss the opportunity to be the member of India’s leading and growing food business family and avail Chaat Ka Chaska food franchise in Panipat. Why Chaat Ka Chaska Franchise in Panipat? In a city you will find different people some of them are non-vegetarian and some of them are pure-vegetarian but, there would be hardly anyone who don’t like the traditional Indian street food Chaat and Panipuri. These two are everyone’s favorite. 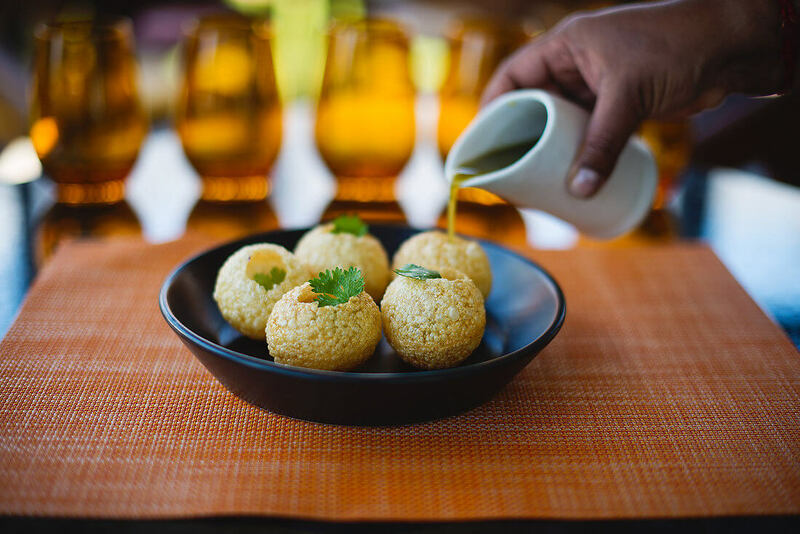 Every city has its own especially in snacks or cuisines but Panipuri, Golgappa or Chaat are the ones that you will find in every corner in a city. This is a profitable business idea which requires very low investment with higher ROI. So, you must grab the opportunity of CHaat Ka Chaska franchise business in Panipat. Panipat is a prominent city of Haryana State known for its magnificent history and discerning industrial development. The city is very close to National Capital and always attracted historians towards it. The city has so many attractions for which tourists visit the place. Not only this, there are many big industries and educational institutes also. This makes it a home of many young professionals and also a perfect place for opening food café or restaurant. If you are all set to open your new business in Panipat then, Chaat Ka Chaska food franchise is the perfect option for you to make money with sufficient margins by investing very low amount. Chaat Ka Chaska is one of the best brands in India that serves Indian street foods like Panipuri, Bhelpuri, Dahi Bhalle, Tikki, Tikki Chaat, Sevpuri, CHaat, and much more. The street food business with Chaat Ka Chaska would be a profitable business for you. We serve the street foods in hawker style but this is standardized yet customizable hygienically prepared and served. So doing business with Chaat ka Chaska would be a very safe business. There are many favorable places where you can setup your own street food café or restaurant. The shopping malls, tourists attractions, supermarket areas and many other educational campus where you can establish your food business. The tourists and shopping enthusiasts can turn into customers for Chaat Ka Chaska. So, a food business can be a profitable venture for all the people who are planning establishing their own business with low investment in Panipat.